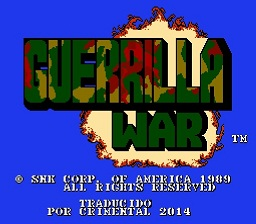 Guerrilla War is an action shooting game for the Nintendo Entertainment System. 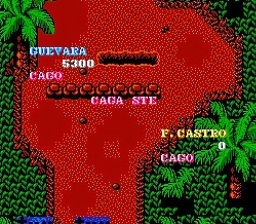 Funny action shooter game. 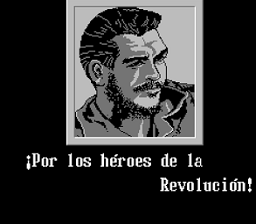 Originally called “Guevara” (in its Japanese version). 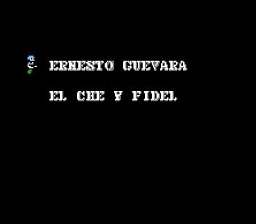 The original Japanese version was about the Cuban revolution and controlled the Argentine guerrilla … and if you played with another friend, you could play with “Uncle Fidel Castro”. 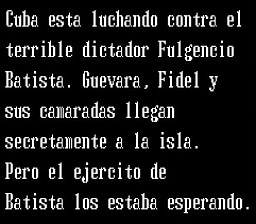 Censored or self-censored in the version uses. This version tries to be a similar version as for the original texts.